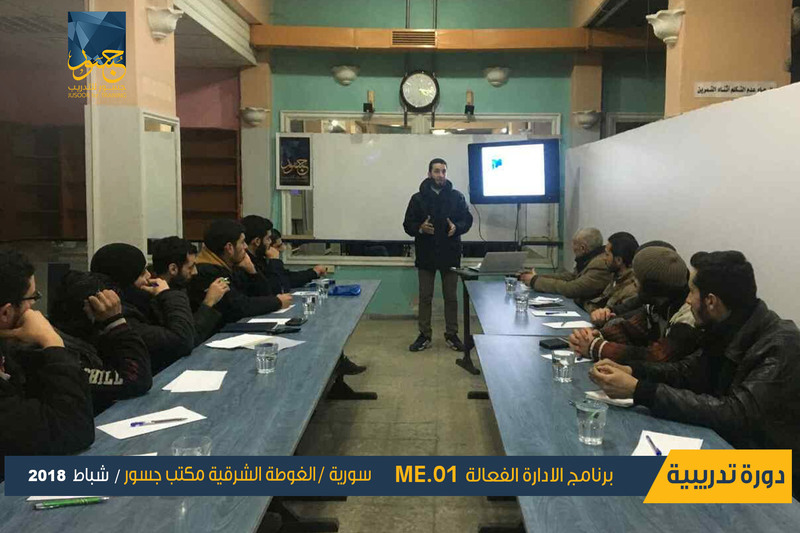 The training was delivered by Mahdi Salem, and took place in Idlib city. 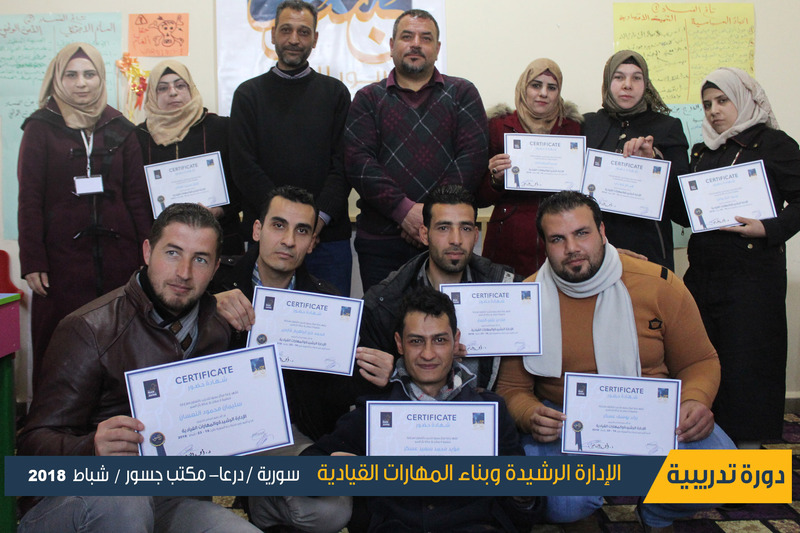 The elected members of local Council of Idlib City attended the training together with civil society organisations and number of civil activists and representatives from free policy in the city. Women had a very distinguished presence in the training from the “Woman office” in the LC and active female activists and representatives of women organisations. 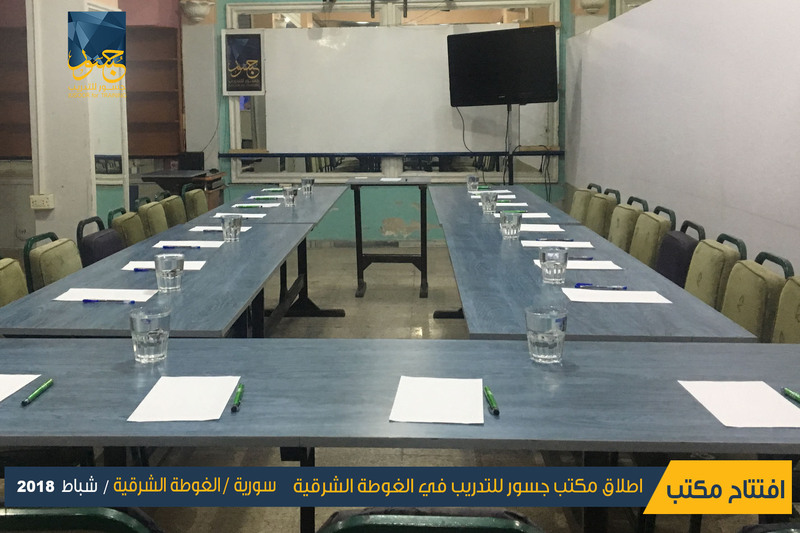 The training was held despite the continuous crimes of the Syrian Regime in Idlib. The massacre of Khan Shaikhon took place during the period of the training. This training comes out civil society belief in the city of the importance of working under all circumstances to enhance the capacity of the workers in the civil sector, by providing them with the needed expertise. 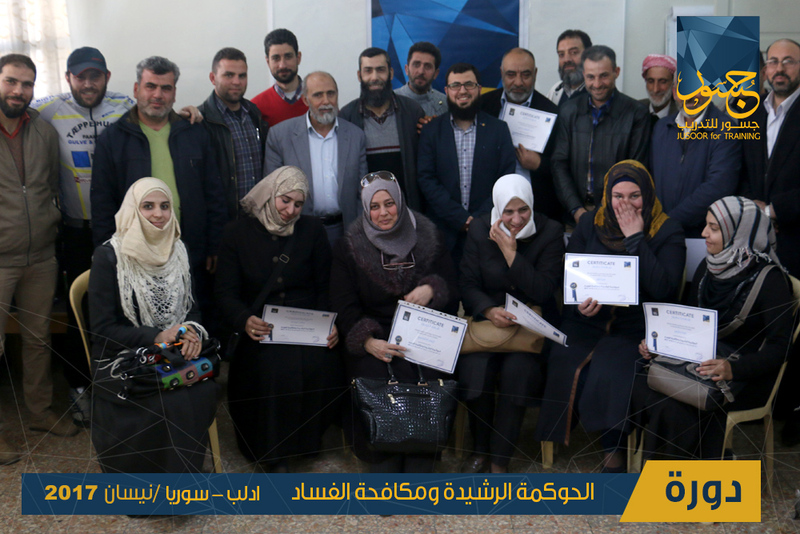 The event is part of a series of courses planned by Jusoor in partnership with "No Peace Without Justice", which aims at providing the cadres of the city council and the rest of the civil servants with the required management skills.